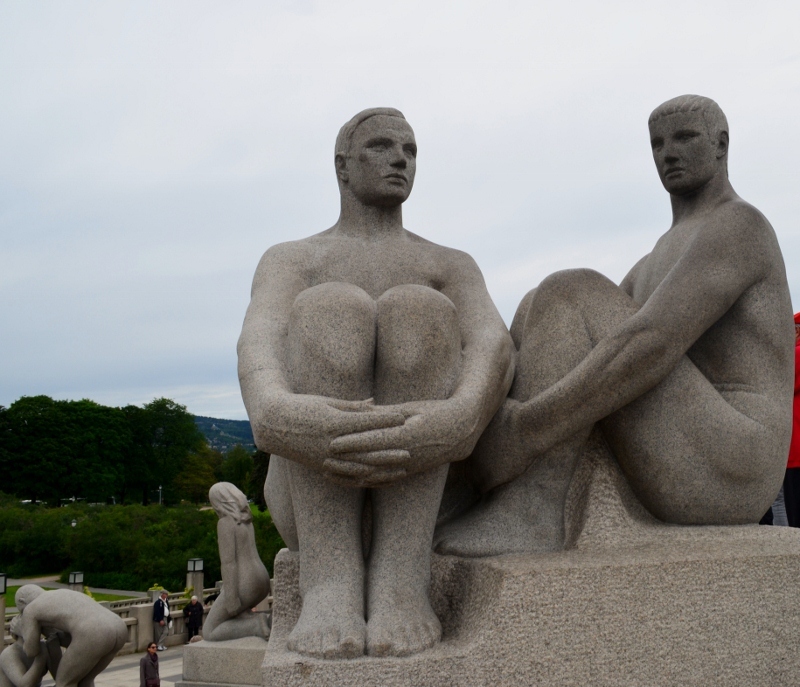 Today we were in Oslo, the oldest Scandinavian capital and Norway’s largest city. 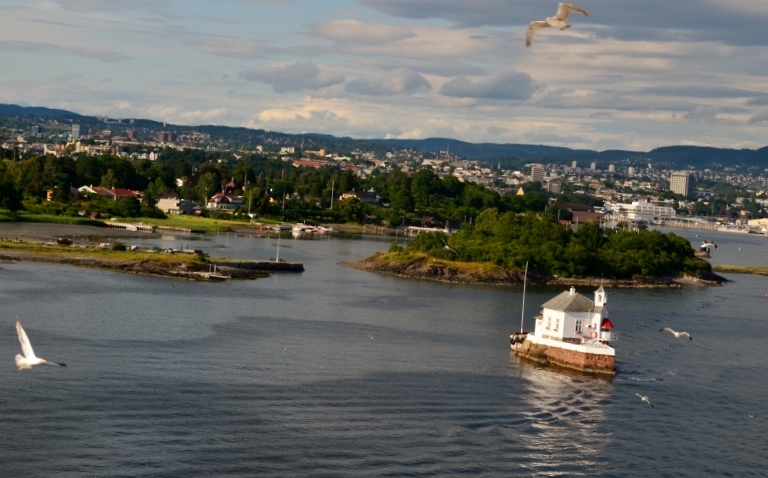 It is located around part of a beautiful fjord, 60 miles from the sea and it was very picturesque indeed, as we sailed in to the harbour. 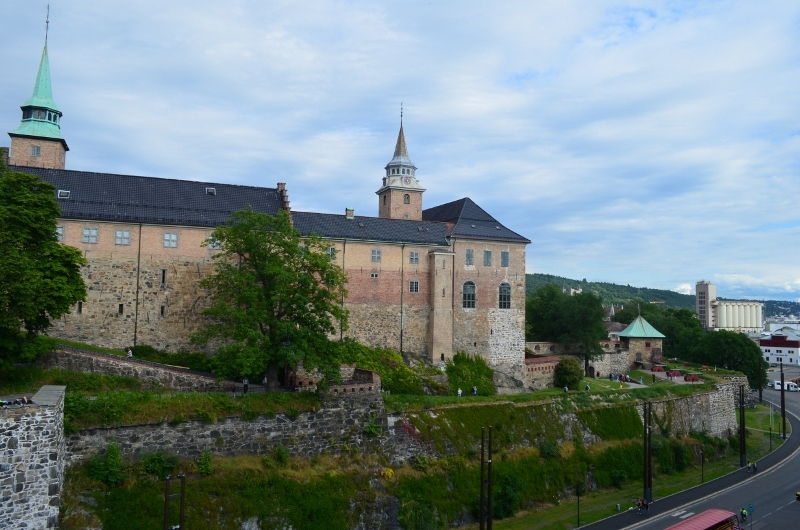 We berthed right next to Akershus Fortress and so had the city right at our door. 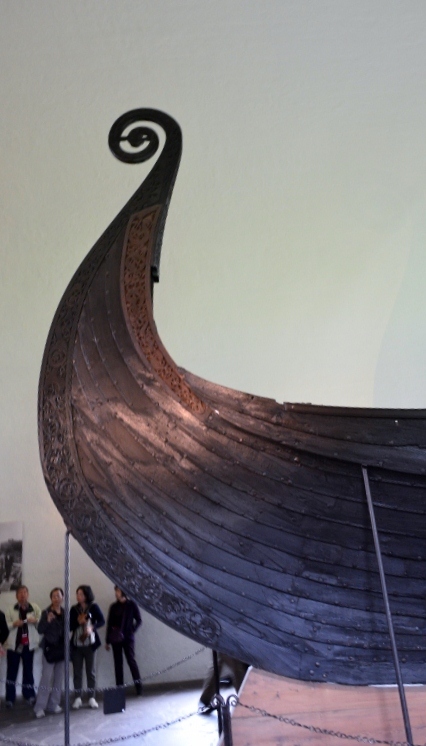 After a late arrival at 10.00am we left the ship for what we thought was an appropriate tour of the famous Viking Ship Museum, Vigeland Sculpture and Ski Jump. En route, we heard how Norway was drawn into WWII and how proud the Norwegians are of the work done by their heroic resistance fighters. We also found out that our ship sailed very near the spot where the German cruiser, Blucher, was sunk by torpedoes fired from the Oscarborg fortress, which delayed the Nazi occupation. 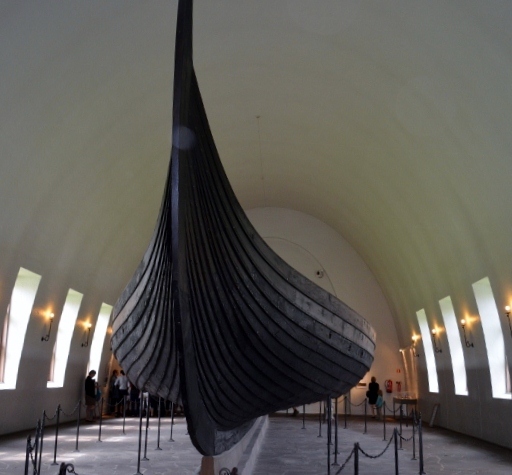 At the Viking Ship Hall in Bygdoy, there are three Viking ships to be seen, discovered in 1867, 1880 and 1904 which were all built around 800-900A.D. 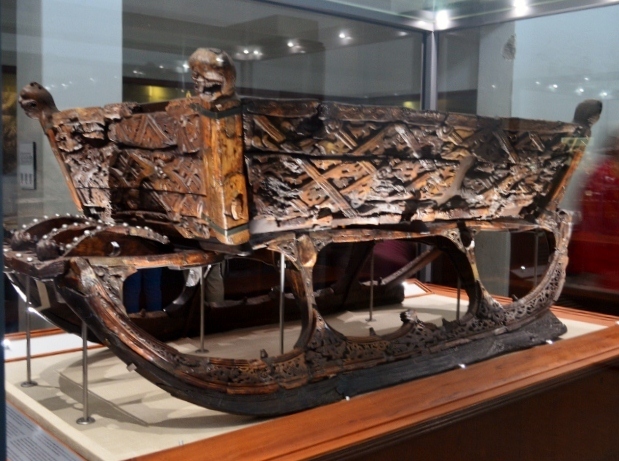 The ships were very large and it was amazing to see their construction close-up, taking in the high standard of craftsmanship and ship building, when you think that they had to be strong enough to withstand a storm in the North Sea and to be manoeuvrable, yet light enough to be hauled across long distances on land, where necessary. 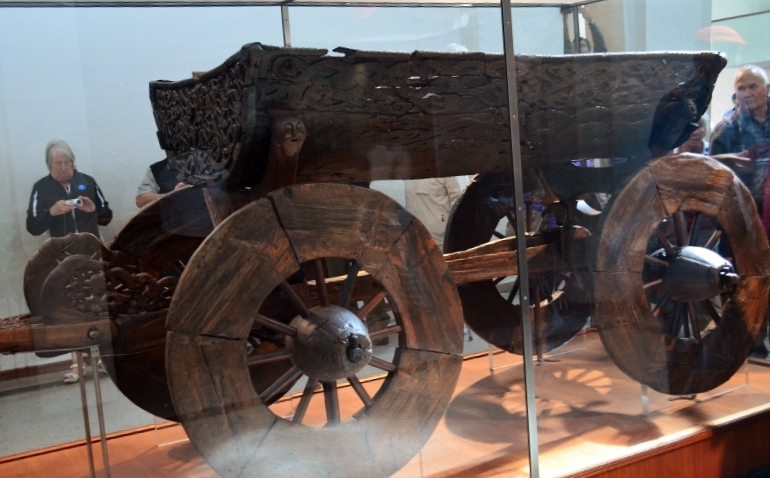 These ships were eventually used as tombs for noblemen who were buried with jewels, food and furniture for the afterlife, and although grave robbers had taken jewellery and disturbed the burial chambers, possibly in the Middle Ages, there has been a wealth of equipment and grave furniture recovered which is also on display, including a cart and three sleighs, all of them richly decorated with wood carvings. 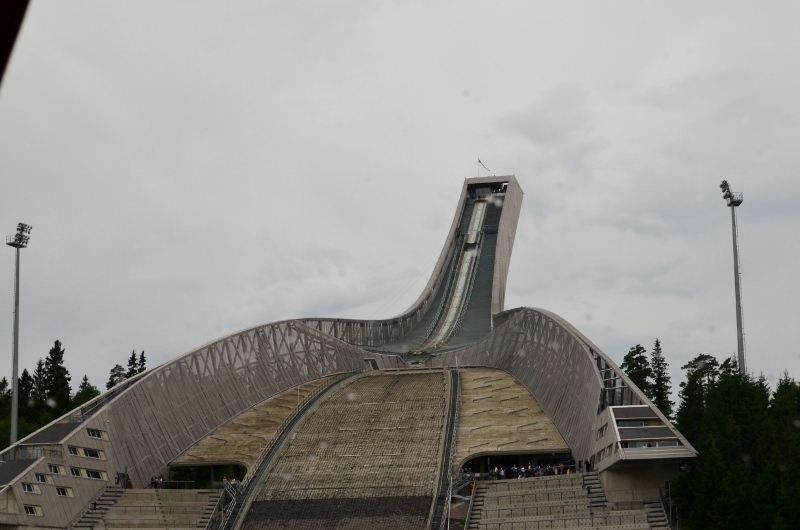 The next stop was up to Holmenkollen, the cradle of Olympic ski jumping and the site of the 1952 Olympic competition. 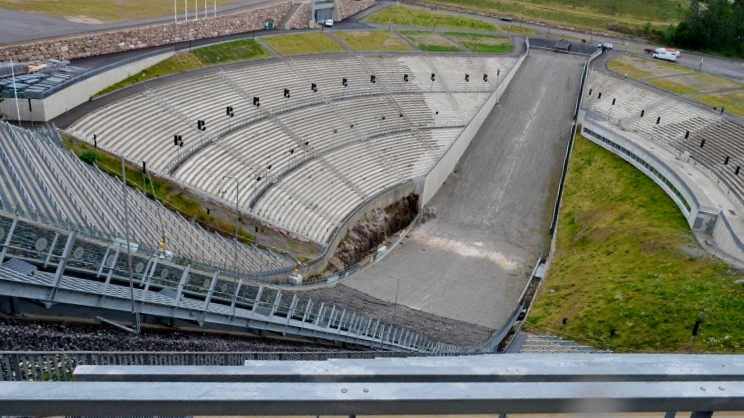 We really don’t much about ski jumping, but it was still quite interesting to see. 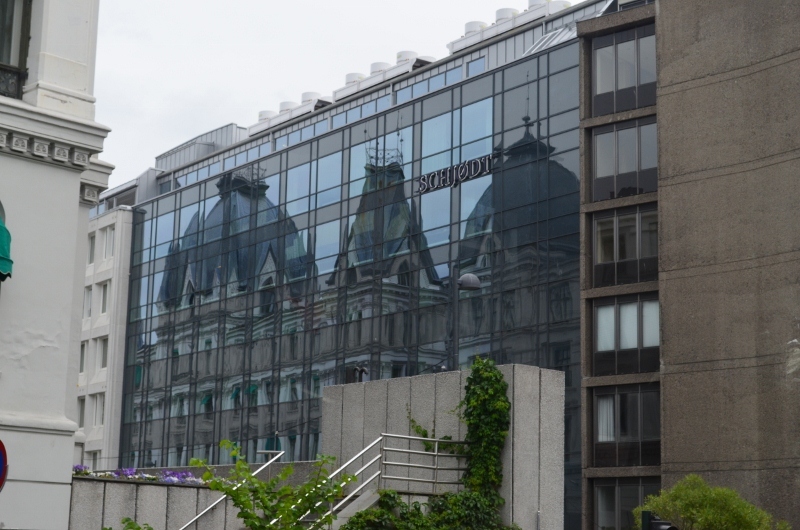 It was rebuilt four times and has big side walls because of the strong winds that they get there. 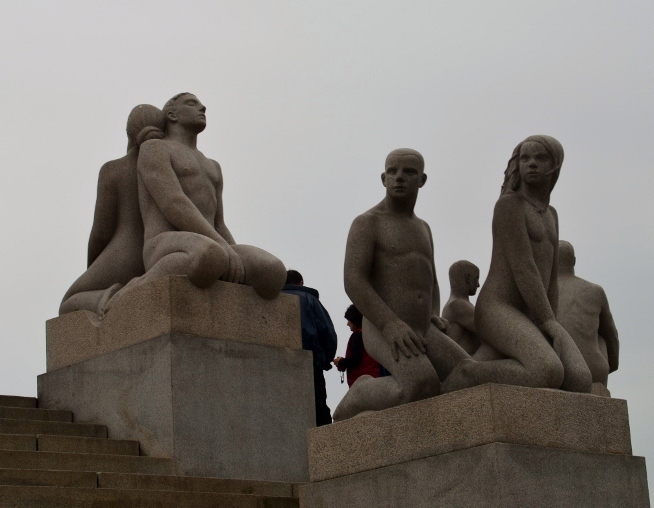 The Vigeland Sculpture Park was one attraction that is a “must-see”; Sculptor Gustav Vigeland has created and displayed some 200 statues, some of them huge. 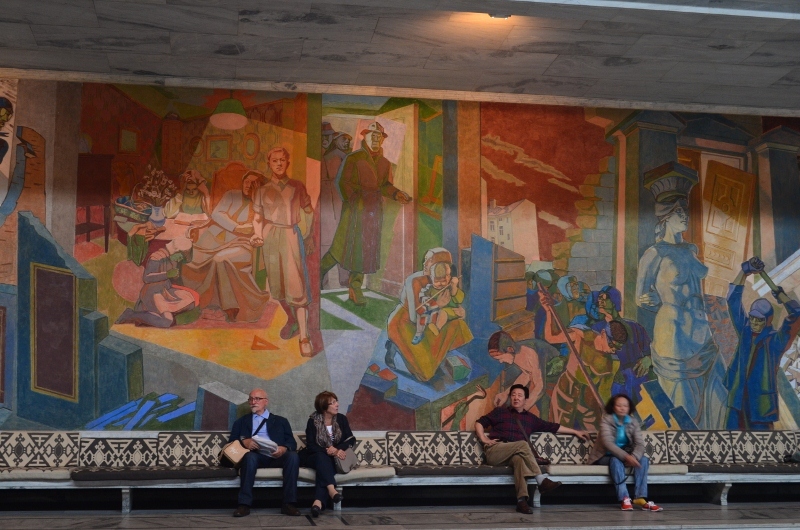 These works in granite, wrought iron and bronze depict the many stages and episodes of human life, and amazingly he devoted about 40 years of his life on these works. As we were leaving, as flocks of seagulls followed the ship swooping down to catch some fish, we passed a tiny island with a charming little restaurant. What a nice place to have dinner! 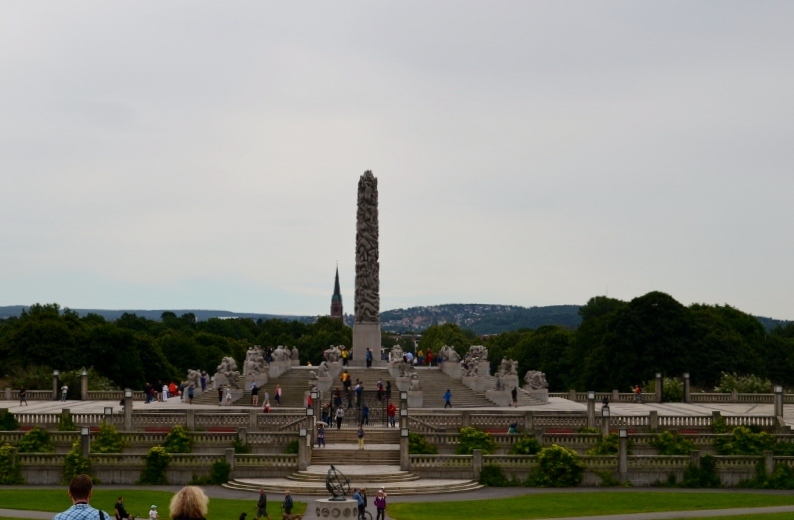 Posted on July 22, 2013 by Jill •	This entry was posted in Europe, Travel and tagged Norway, Oslo, sea princess, travel. Bookmark the permalink.